Even though its light weight and compact size enables the EB990u projector to be carried from room to room, the projector is capable of highly visible images thanks to its high brightness (up to 3,800lm) and superior 15,000:1 contrast ratio. Room lights don't have to be dimmed to see bright and clearly projected images, allowing meeting participants to concentrate better for improved meeting productivity. Amazing Colour Brightness – 3,800 lumens colour and 3,800 lumens white brightness. Crisp, Clear Resolution – Featuring XGA resolution for sharp images. Wireless LAN Enterprise Security – Connect projectors in a secure wireless network environment. Low Cost of Ownership – Long life, cost efficient lamp and a high efficiency filter extends the life of your projector and allows for hassle free maintenance. 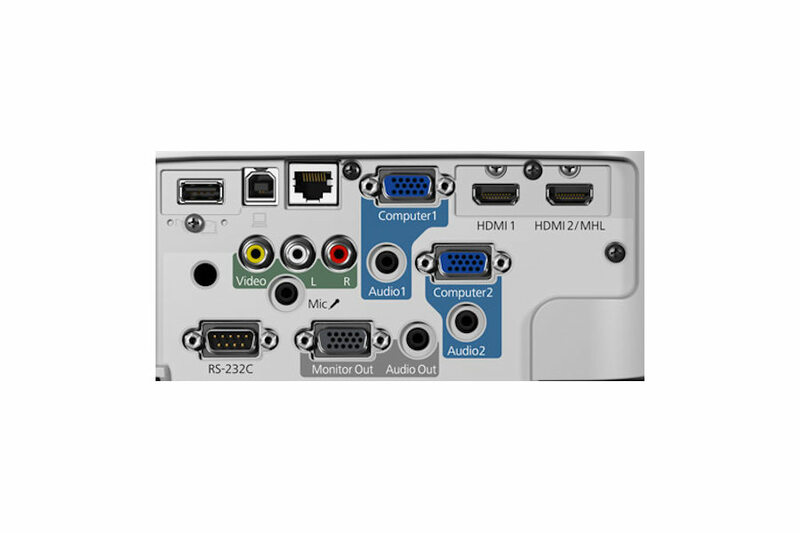 Auto Power on – Simply plug-in HDMI, USB or VGA cable to turn the projector on. 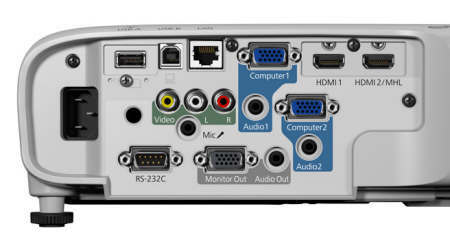 Multiple users can connect simultaneously to one EB-990u projector using EPSON iProjection software which allows you to display four individual PC screens simultaneously over the network (wired or wireless), with up to 50 users connected to the same projector. You can drag and drop participants into or out of one of the four quadrants. This feature is a great tool for meetings or classroom projects where multiple users want to present and compare their screens. You can also connect up to four remote projectors at the same time and show the same multi-screen image; another great tool for remote meeting setups. With the EPSON iProjection App, you can even display and control content from your iPhone®, iPad®, Android™, and Chrome devices. 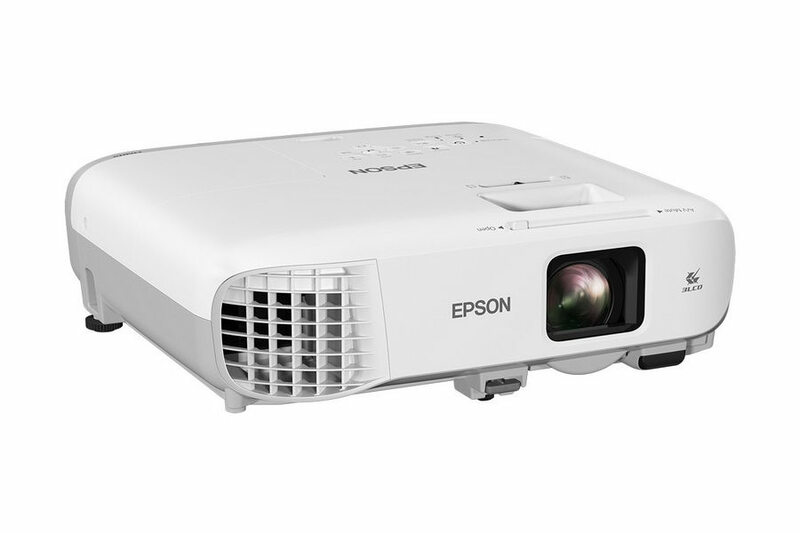 Just turn on the projector, use the Epson iProjection App to scan the on-screen QR code, and share content on the big screen. (An optional ELPAP10 Wireless LAN unit is required for the EB-990u). Lamps can blow, if you need your projector working and can't afford down time, you may need to keep a spare lamp. 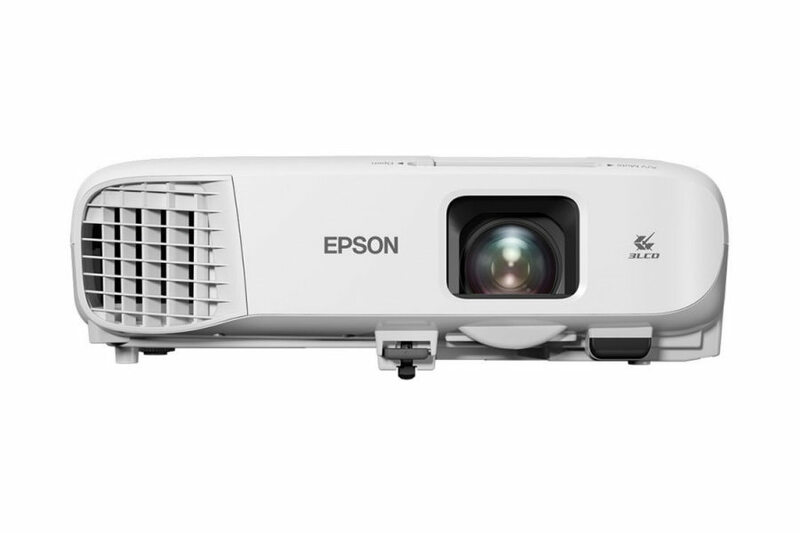 The replacement projector lamp for the Epson EB-990u is the ELPLP96.